I alluded to this mirror ages ago but completely forgot to share it! Super Dad mounted it to the wall for me the weekend before last and ta-da! 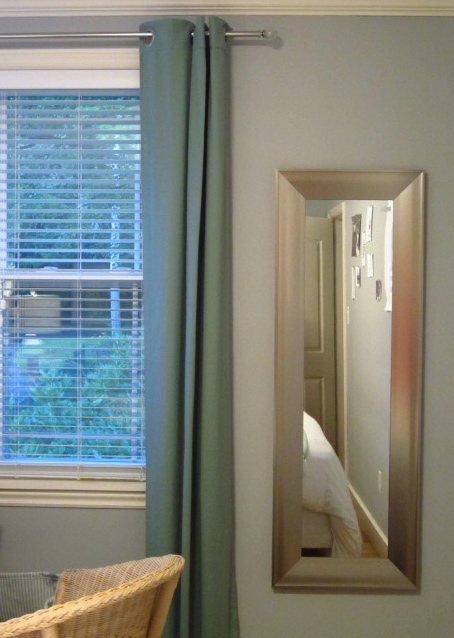 Even more reflective surfaces in my bedroom! Simple, classic. Nice thick metal frame. And all for the low low price of $29.99! The only problem? 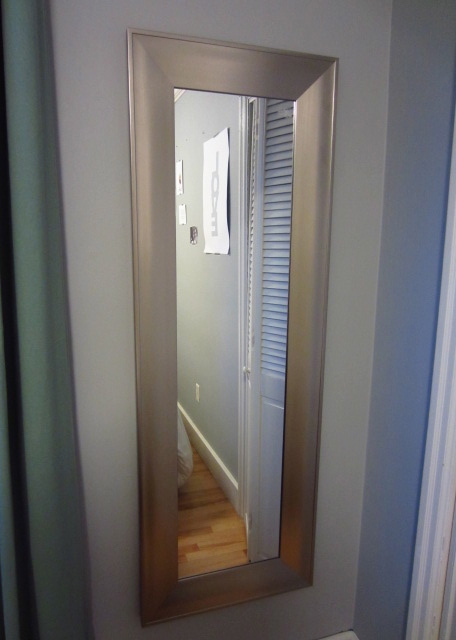 It's technically an 'over-the-door' mirror, so it didn't come with the proper hardware for hanging on the wall. It was a fairly easy fix though - we (cough*SuperDad*cough) just used wall-mounting hardware instead. Now I can stop taking #ootd (that's 'outfit of the day' for you non-narcissistic, non-blogger/instagram types) selfies in random locations and commence taking them in my room. Like a civilized blogger.